Stephanie R. Losching joined Carney Thorpe, LLC in 2018. Her practice is devoted primarily to civil litigation, corporate, business, personal injury, real estate and construction law. Stephanie represents individuals and companies in various areas of litigation and business transactions including, but not limited to, contract law, employment disputes, commercial litigation, construction defect, product liability claims, real estate disputes, first and third-party insurance claims, personal injury claims, and subrogation matters; in addition to various other related claims. 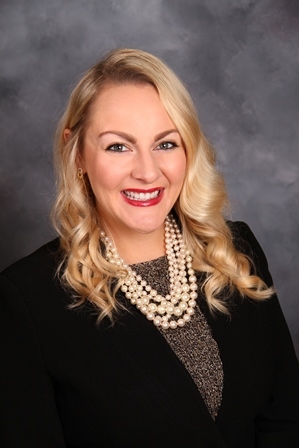 Prior to joining Carney Thorpe, LLC, Stephanie practiced law at a large law firm in Minneapolis, Minnesota where she vigorously represented her clients in the areas of civil litigation, insurance disputes, construction matters, employment litigation and contract law. Stephanie also practiced law before that at an insurance defense firm where she represented insurance companies in various first and third-party claims. She was also a member of their subrogation team seeking damages for various claims, including construction defect and product liability. Stephanie is a graduate of Hamline University School of Law. During law school, Stephanie was an Editor for the Journal of Public Law & Policy and a member of the William E. McGee Civil Rights Moot Court team. After law school, Stephanie clerked for the Honorable Robert Walker in Martin County, Minnesota where she gained important insight into the workings of the judicial system. This first-hand knowledge benefits her clients in gaining favor with the Court. Prior to law school, Stephanie obtained her undergraduate business degree from DePaul University in Chicago, Illinois. After four years of vigorous business training, Stephanie worked for the Chicago Tribune where she represented clients in business transactions, assisting them with their marketing and advertising programs. Stephanie is licensed to practice law in Wisconsin and Minnesota and is a Janesville native. Stephanie is a member of Janesville Morning Rotary, is co-chair of JOIN Janesville, a young professional network she, along with a few others, formed in Rock County, and is a member of the Janesville Woman's Club Association. on Facebook and Google Plus.